Technology is changing how we work and collaborate. One of the hottest trends right now is cloud-based team collaboration tools like Hipchat and Slack, which are sweeping the market. There are indications that these types of tools will replace email as the primary tool for workplace communication. Slack was launched in 2013, and Hipchat launched in 2010. In a short period of time, the number of companies using these tools has grown exponentially. 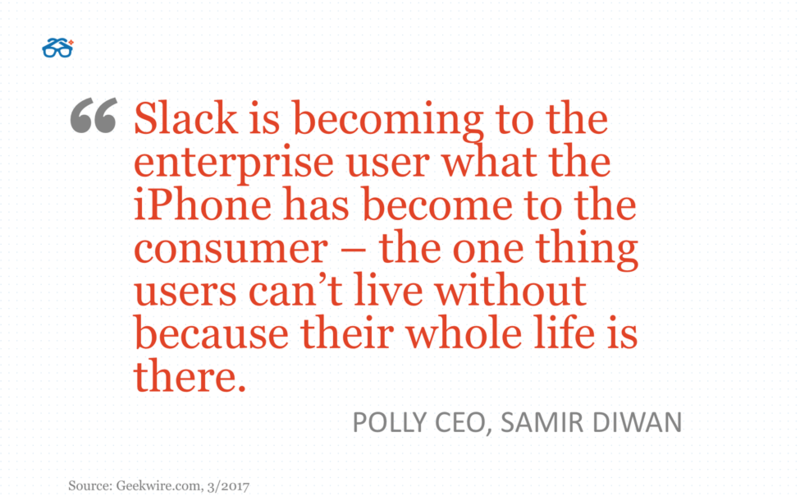 In four years, Slack has grown to 5 million daily active users and a $3.8 billion valuation. These tools have been so popular that Microsoft and Google are getting into the game as well. The perks of these cloud-based collaboration tools include a great mobile experience, private and public channels that you can drop in and out of as you need, the ability to search across channels and discussions, integrations with other tools like Degreed, calling, video chat, and even screen sharing. Some say that these types of tools will bring the end to email. And more than just email, features like file sharing, screen sharing, calling, and video chat mean that these tools are becoming the center of all work-related activity. Some companies even tout the use of these tools as a workplace perk. But, if there’s no more email, how are you going to get that awesome Today’s Learning email from Degreed with all those personalized recommendations tailored to your needs and interests? Well, we have good news. Degreed offers integrations with both Hipchat and Slack. Once you enable the Slack or Hipchat integration on Degreed, these tools immediately begin notifying you when you receive a recommendation in Degreed. 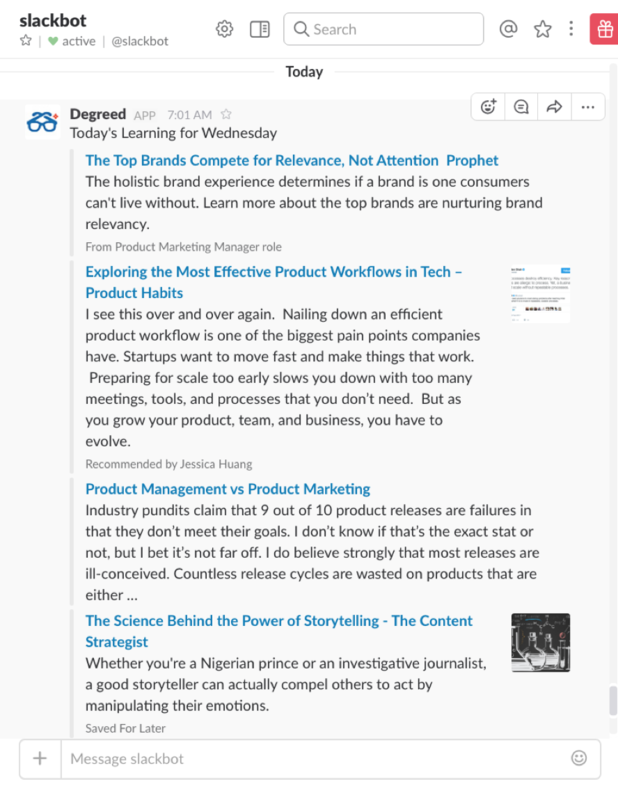 Each morning, you’ll see your Today’s Learning list, five items of personalized content just for you, delivered in Slack or Hipchat. The integration also allows you to scroll through a list of all your Degreed recommendations and Today’s Learning in one place. Cloud-based collaboration tools, like Hipchat and Slack, are becoming the center of all workplace activity including, messaging, calling, file sharing, video chat, and as an integration point for other enterprise tools. Stay on top of this trend by leveraging the Degreed integration with Slack and Hipchat. Contact your client experience partner for details on how to enable these integrations for your organization.